If you are a child of the 80’s like I am, you grew up imagining how AWESOME it would be to have a companion like Kit (I’m talking Night Rider for those out of the loop). AI, or artificial intelligence, has been a dream showcased in everything from Star Trek to Westworld. People have been dreaming of having an AI companion for decades, and today the dream is becoming a reality. 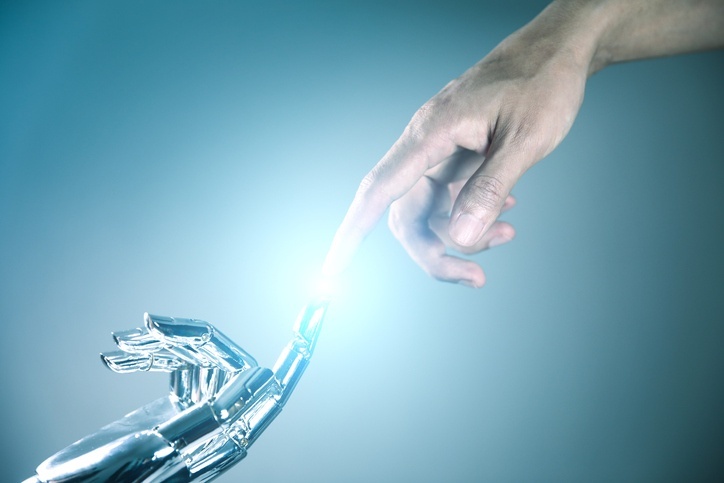 Chances are you’re already interacting with AI machines on a regular basis, but it may surprise you just how many companies have already introduced AI into their product selection. Here are 14 examples of the way AI is integrating into our daily lives. Hello Barbie has a microphone on Barbie’s necklace that listens to and responds to a child. Chef Watson from IBM allows you to have a sous-chef in the kitchen that will help you develop recipes and advice human chefs on flavor combinations. American Express is using AI to detect fraud in real time. Experian uses AI tools to sort through records and determine what data points are important to help people make sound financial decisions. Volvo is using artificial intelligence to predict when a vehicle needs service, or its parts are about to fail. John Deere is using the technology to help farmers decide whether a plant needs to be treated with pesticide or not (based on visual data about the appearance of pests). The BBC project, Talking with Machines, is a Choose Your Own Adventure book on steroids. Created in partnership with Google Home and Amazon Echo, listeners can use their speakers to answer questions and insert their own lines into the story. Netflix uses AI to predict what users will enjoy watching next. As Netflix has begun to heavily invest in creating their own shows, the technology is helping to influence what shows will be created next. Global Fishing Watch is a Google project that uses AI and satellite data to prevent illegal fishing. Disney’s MagicBand wristband serves as ID, hotel room key, tickets, FastPasses and payment system for park guests. While it was introduced as a convenience item to their guests, they pull massive amounts of data that lets them create personalized experiences as well as resolve traffic jams and avoid long wait times on rides. Gemalto’s Breach Level Index is a tool that tracks data breaches and allows organizations to do a risk assessment of their own security, as well as summaries actions to reduce their risk. Drift builds intelligent chatbots that can answer questions potential customers have in real time. Adobe Sensei has been incorporated into products like Photoshop and InDesign to deliver truly personalize content and cut down on tedious tasks, like searching through stock photos. Investment companies like Morgan Stanley, Charles Schwab, Merrill Lynch and Vanguard are offering robo advisors that provide financial advice based on your risk tolerance and market movement.